The Jewel of the Seas is a beautiful Royal Caribbean ship. 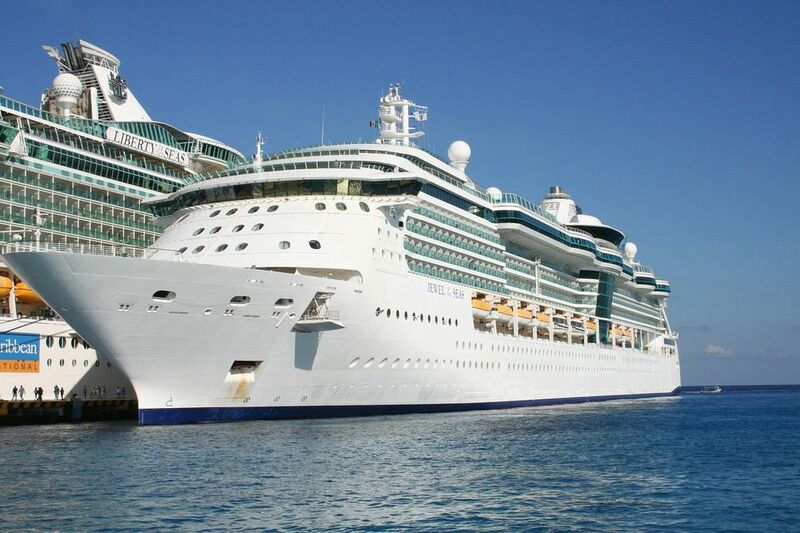 Built in 2004, the Jewel of the Seas carries 2,500 passengers to a variety of destinations in the Americas and Europe. The Jewel of the Seas is a beautiful ship, with tastefully decorated interiors. Although the ship carries 2500 passengers, she is spacious on the inside with plenty of space to get away from the crowds if you wish. The Centrum is the central hub of the ship, and many of the public areas have easy access to the Centrum. It's fun to just sit in the Centrum and watch the activity all around and on the decks above. The Solarium is a popular "adults only" pool and lounge area. In addition to very comfortable lounge chairs, the Solarium has its own bar and casual dining area and is adjacent to the spa. The children are not overlooked, and they have their own pool and several age-specific kids' programs for ages 6 months to 17 years. The restaurants on the Jewel of the Sea have an excellent variety of different cuisines and should be diverse enough to suit any palate. The Windjammer Cafe is great for breakfasts and lunches. It uses multiple stations to help with diner flow—a very successful strategy even during peak service hours. The two-level main dining room has two traditional seatings and also offers "my time" dining for those who like to have flexibility in their dining times and companions. The two specialty restaurants on the Jewel of the Seas are excellent. Check out the Italian cuisine in Portofino's and the steakhouse atmosphere of Chops. There's a lounge or a bar on almost every passenger deck on the Jewel of the Seas, so you are never far from a drink! The lounges each have a different look, ranging from the African motif in the Safari Club to the disco atmosphere of Vortex to the quiet tables and views of the sea in the Champagne Bar. Those who love sports will want to check out the multiple video screens in the sports bar or the self-leveling pool tables in the Game Reserves area of the Safari Club. Many of the lounges feature a variety of live entertainment, and the Jewel of the Seas had some excellent musicians onboard during our cruise. The exterior of the Jewel of the Seas is distinctive, with the soaring glass elevator on one side and the signature round Vortex lounge on the top deck. The Jewel of the Seas has 13 decks, so those who choose to walk the stairs can get plenty of exercises! The ship has passenger cabins on seven of the thirteen decks and has shops, bars, and restaurants scattered throughout the ship. The Jewel of the Seas has numerous cabin categories, with prices lowest in the interior cabins and highest in the suites. The cabins have plenty of storage space and comfortable beds, in addition to all the usual amenities. There is an "extra" storage next to the mirror in the bathroom and at the vanity table. The cabins have plugs for both 220v and 110v, but you might want to carry along a power strip if you need several plugs for all your electrical devices. Many cruisers do not like to pay for a balcony, but it adds a lot to the overall cruise experience. If you opt for this upgrade, you will love being able to step outside and take in the sea air, even if the weather is cool.